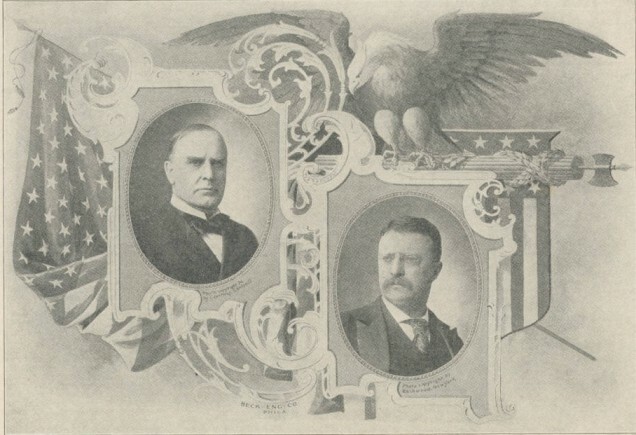 This is a rare official program of the Presidential Inaugural Ceremonies of March 4, 1901 for William McKinley as President and Theodore Roosevelt as Vice President. It is in nice condition with a slightly soiled front cover. 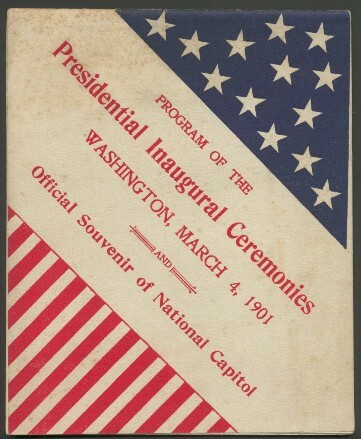 In addition to information about the inaugural ceremonies that year the program has wonderful pictures of Washington, D.C. for that year. One example, shown below, is of the White House. 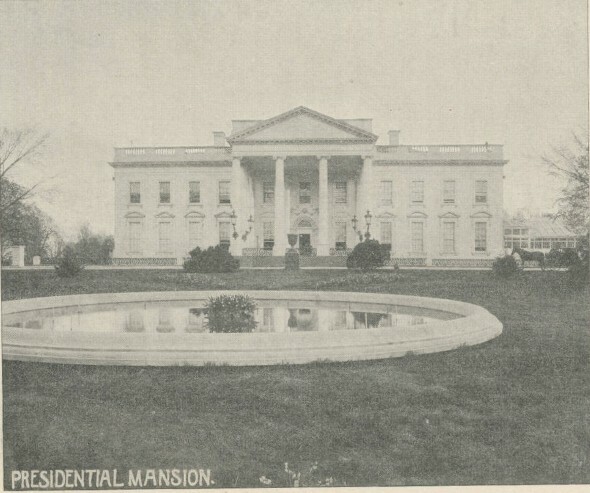 Until Theodore Roosevelt renamed it the White House later that year when he became President, it was known as the Presidential or Executive Mansion. As you can see, the wings of the White House had not yet been built in 1901. 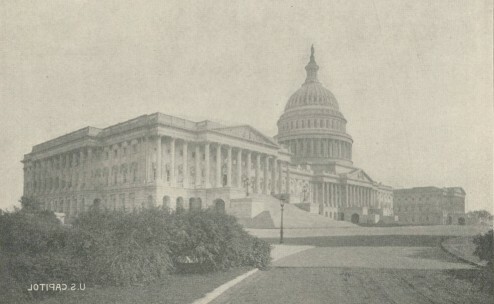 The U.S. Capitol still had a dirt driveway to accommodate the predominate transportation mode of horses and carriages. 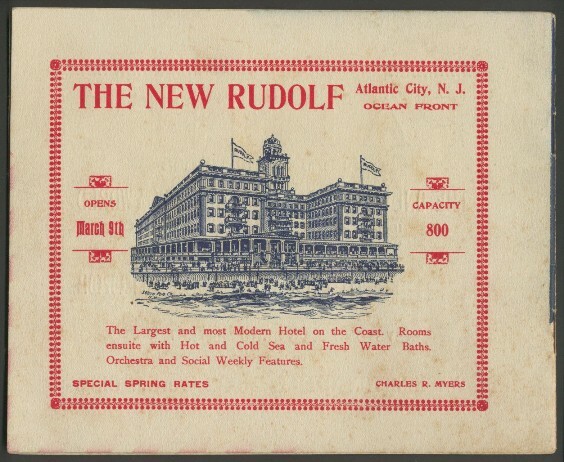 The back cover has an advertisement for a grand old Atlantic City seaside resort, the New Rudolf.